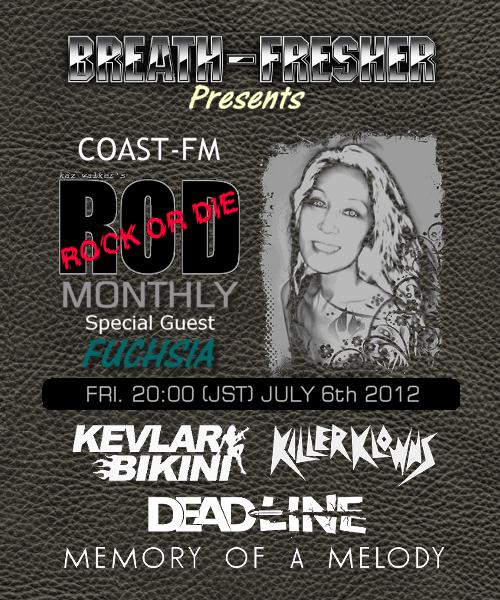 ROCK OR DIE Monthly #25 is aired at 8 pm (GMT+9) on Friday, July 6th 2012. Following 4 young bands come up for the show. Tune in to ROCK OR DIE on COAST-FM!